At Advantage Hoist we offer a variety of products like Monorail Wire Rope Hoists and Top Running Wire Rope Hoists. You can find what you need online anywhere and at anytime within the comfort of your home or office. 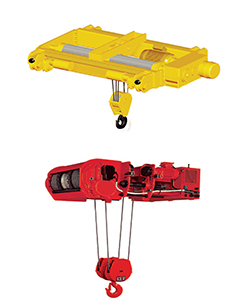 Wire rope hoists are heavy-duty electrically powered devices that are specifically designed for lifting very heavy objects. They are found on large scale project sites like industrial sites or construction sites. As its name suggests it uses wire rope which is very strong and durable to lift heavy objects. 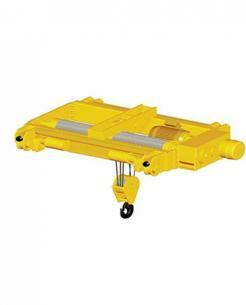 Electric wire rope hoists lift loads by winding the rope around a drum powered by an electric motor. Copyright © 2018 Advantage Hoist All rights reserved.